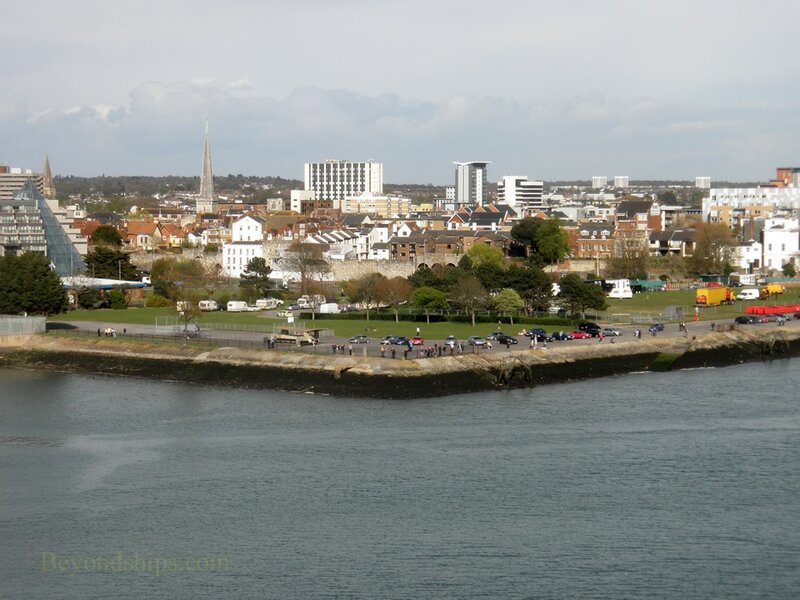 On this page, we look at some of the things you can do in Southampton. 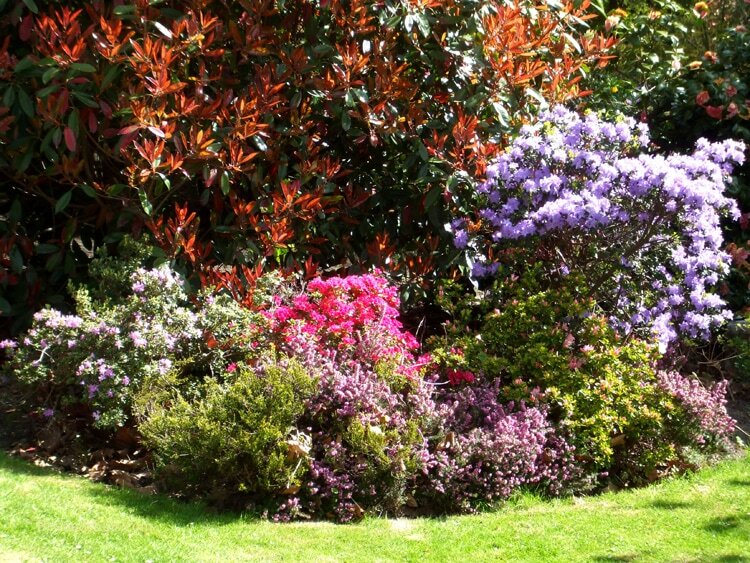 On the next page, we explore some of the places that can be visited on a day trip from Southampton. Many cruise passengers go shopping in Southampton. 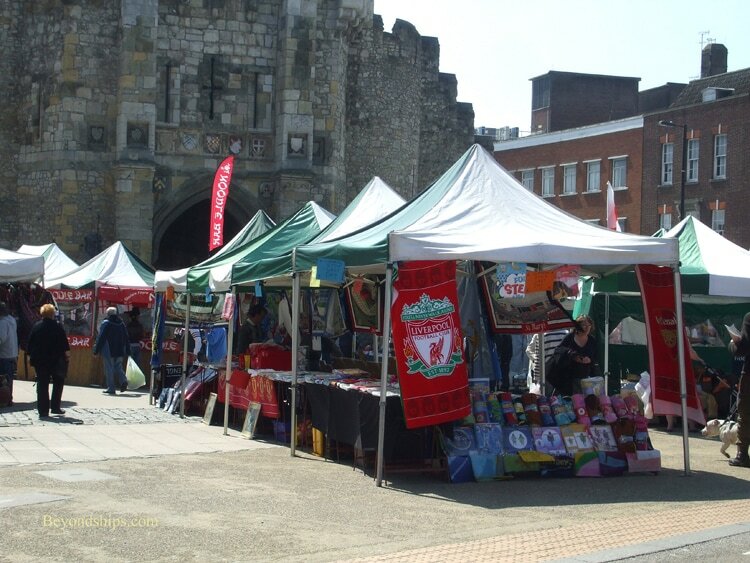 This is not because of any product that is available nowhere else in the world but rather because Southampton offers the retail opportunities of a large city. Thus, people waiting for a cruise buy items that they forgot to pack or people with a few hours before their ship sails, often spend time looking through Southampton's shops. Above right: The traditional high street (Above Bar Street) has been converted into a pedestrian thoroughfare. 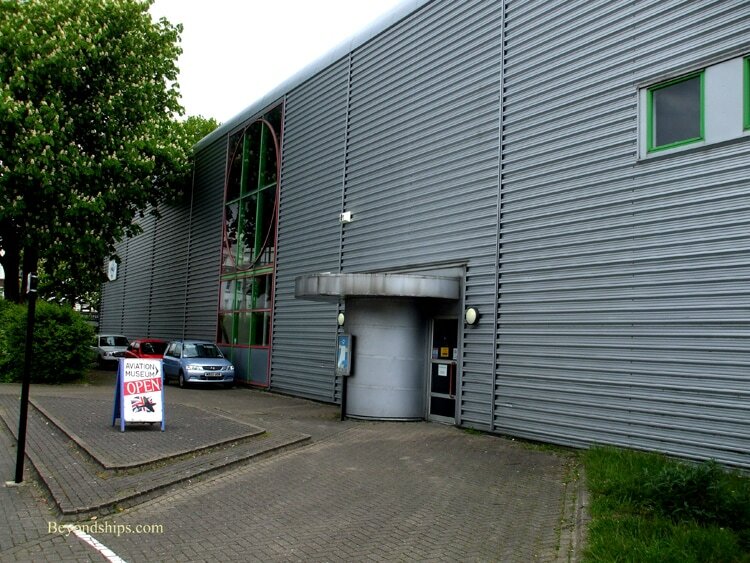 It includes traditional shops as well as complexes housing a number of shops. Right: There is often an open air market below Bar Gate. 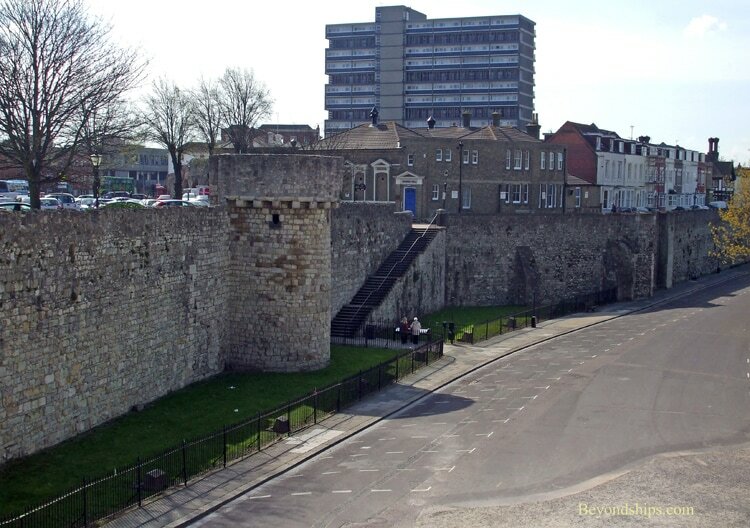 A significant portion of Southampton's medieval walls have survived. Guided walking tours of the walls as well as signs posted that tell the story of the various sections of the walls. 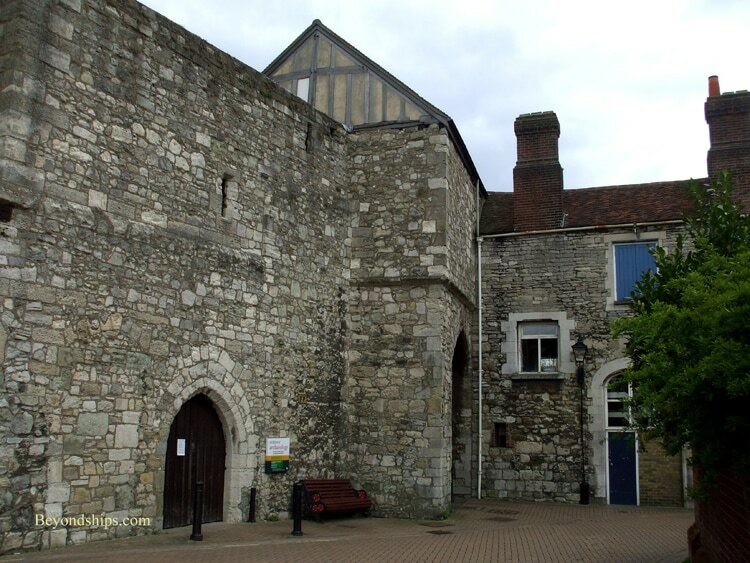 The Museum of Archaeology is in God's House Tower, part of the old City walls. 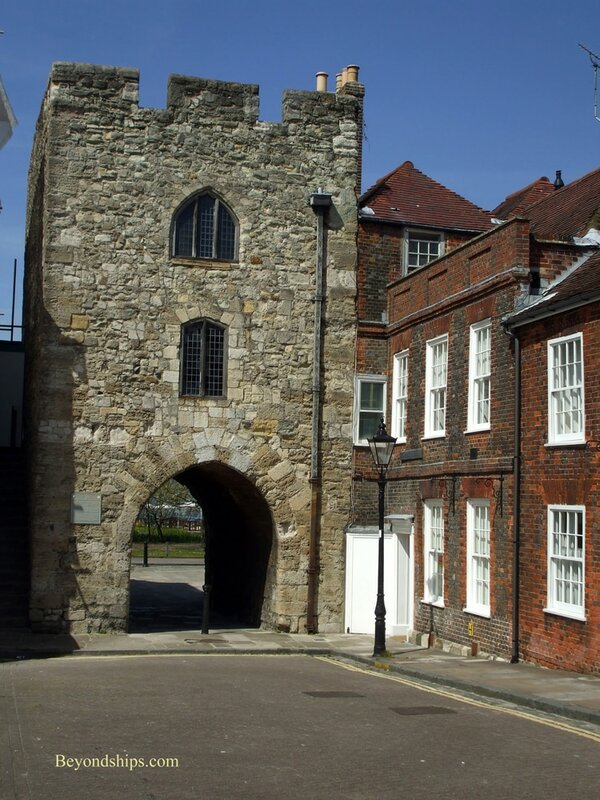 Constructed in 1417, the tower was one of the first purpose-built artillery fortifications. 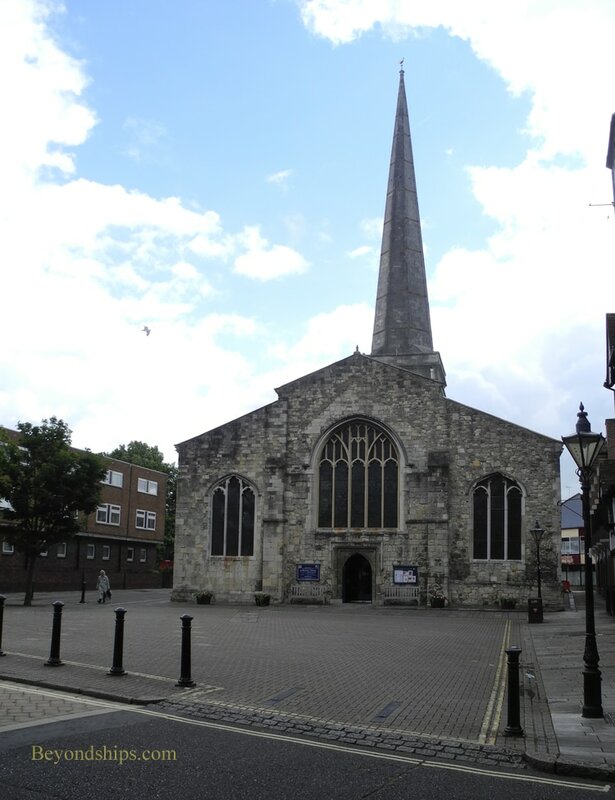 Today, it presents the story of Roman, Saxon and Medieval Southampton. Nearby is the Wool House, which was built in the 14th Century for the storage of wool that was being exported to the Continent. During the Napoleonic Wars, it held French prisoners of war, some of whom carved their names into the walls. Formerly the home of the Maritime Museum, the Wool House is now a cafe. 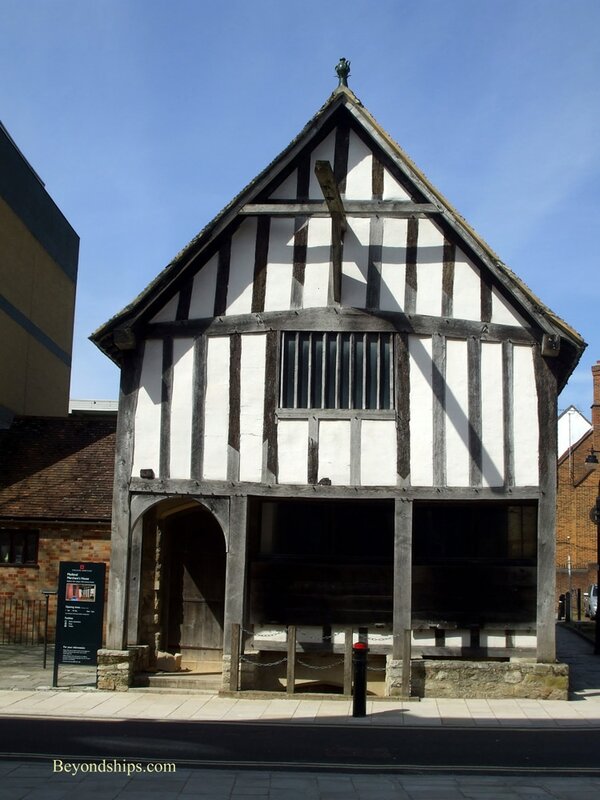 Two buildings which have been restored and which are open as museums are the Medieval Merchant's House (above) and the Tudor House (right). Left: St. Michael's Church dates from the 11th Century. 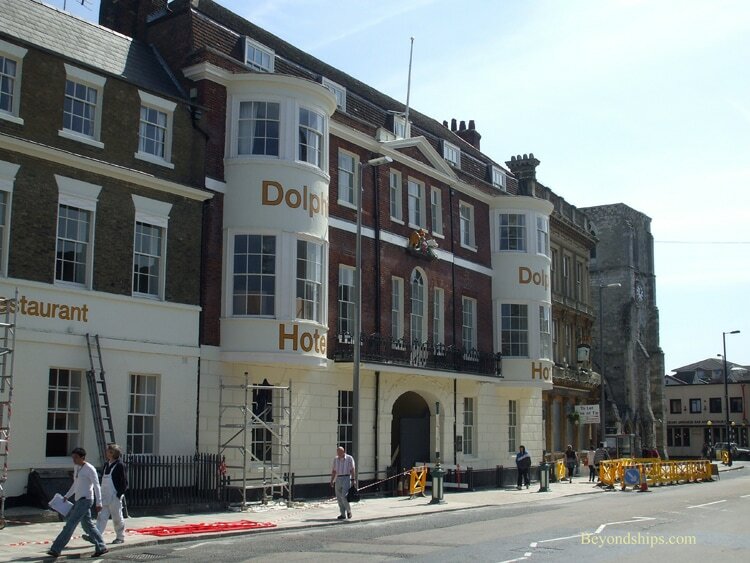 Below: Several buildings in Southampton such as the Dolphin Hotel have associations with Jane Austen. Left: Vintage ships and maritime artifacts can often be seen around the harbor. 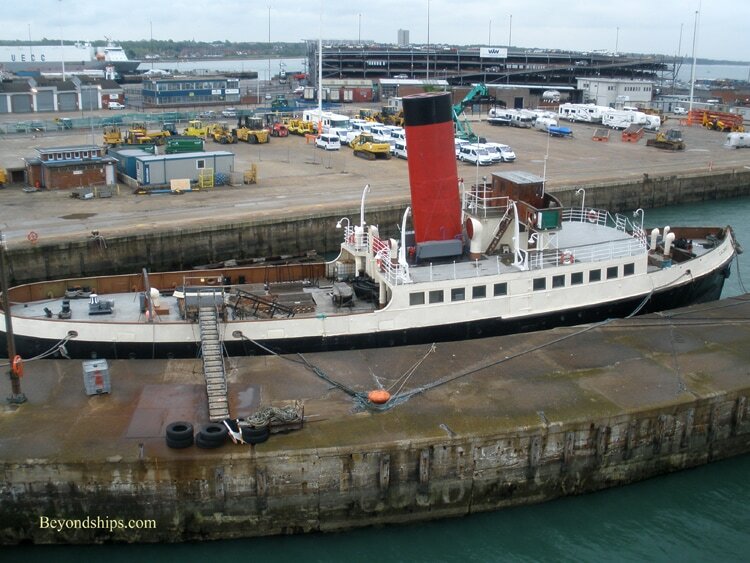 This one is the tender Calshot. 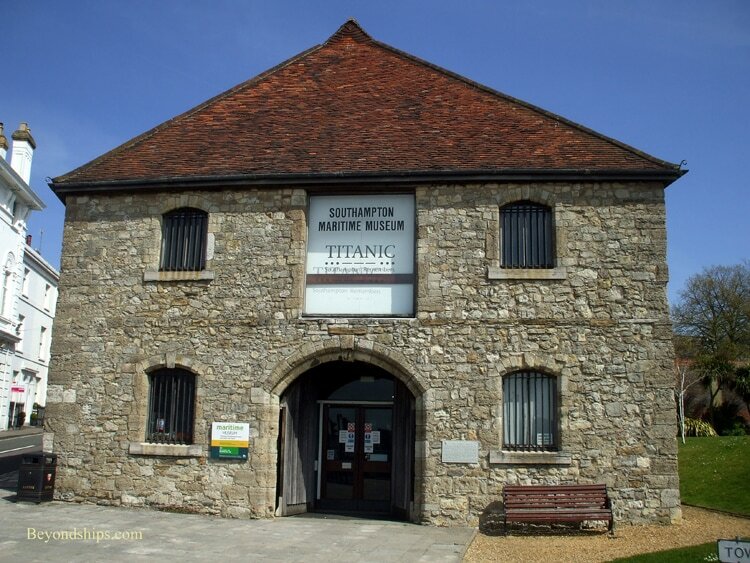 Located in a complex of local government buildings is the Sea City Museum, Southampton's maritime museum. (Right). It has an extensive collection about the Titanic and that ship's associations with Southampton. 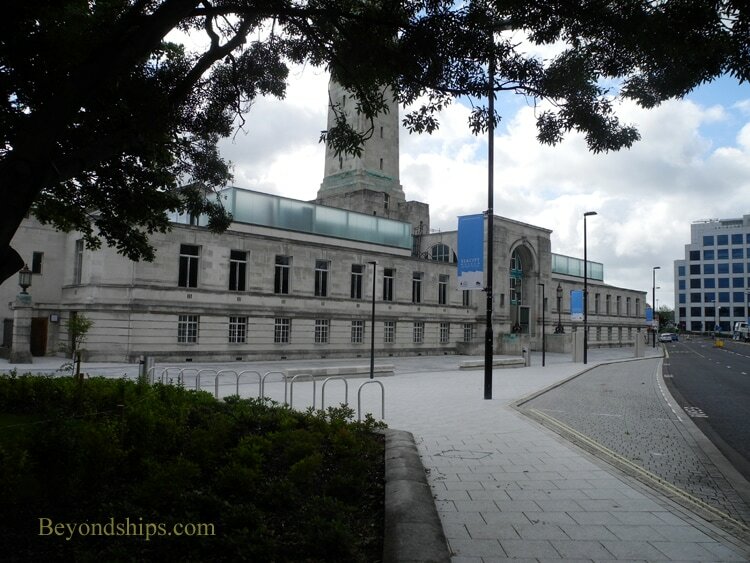 Nearby, are several public art galleries including the Southampton City Art Gallery (below), the John Hansard Gallery and the Solent Showcase Gallery. The Southampton area played an important role in the development of aviation. It was here that the Supermarine Spitfire, which achieved fame in the Battle Of Britain in World War II, was designed and tested. The Solent Sky Aviation Museum tells this story as well as the stories of other aircraft connected with the area. 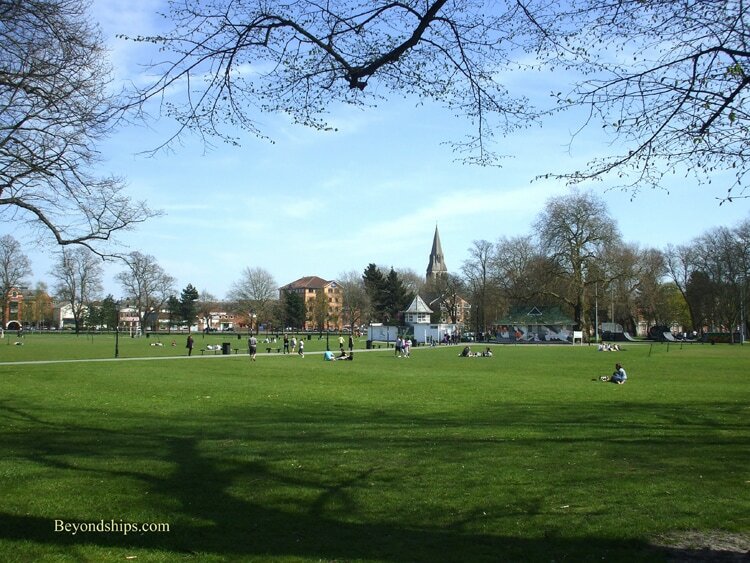 Southampton has quite a lot of green space. 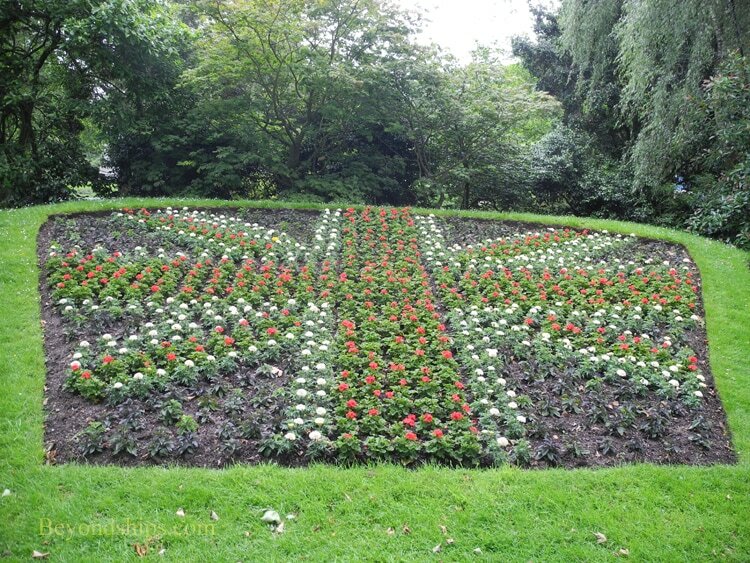 Some of these parks have flower beds and ornamental planting, which can be very pretty in the Spring. 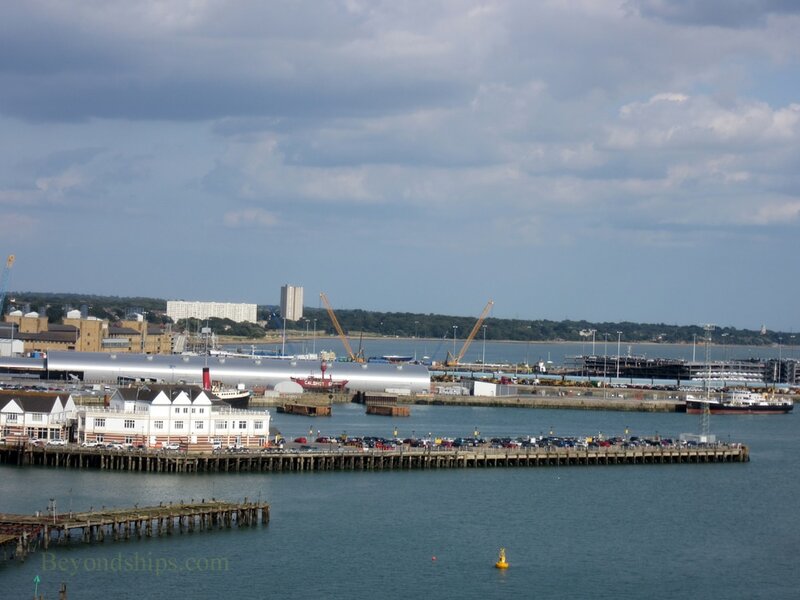 Southampton offers a number of good places to watch and photograph ships and thus attracts many ship enthusiasts. 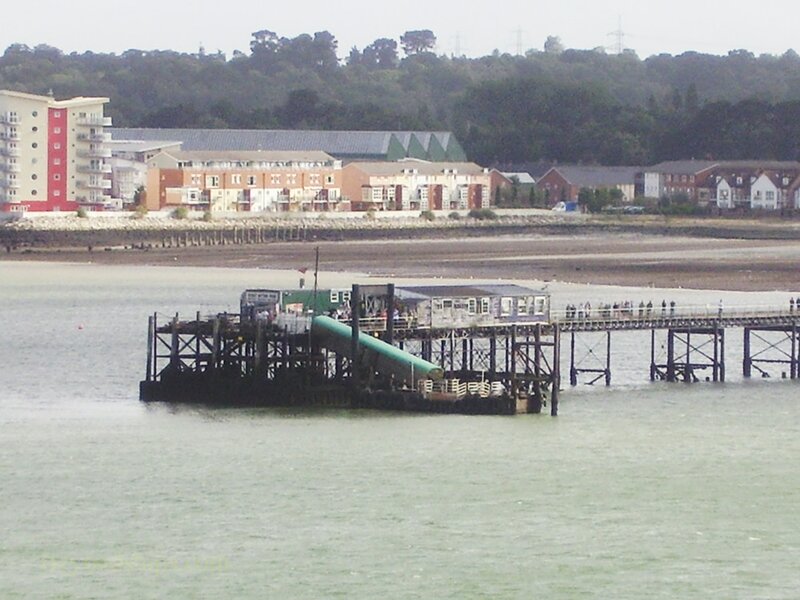 The Hythe Pier (left) and the Town Quay (below left) extend out into Southampton Water and thus offer good vantage points for viewing the ships as they head out to sea. Mayflower Park (below) is only a short distance from the City Terminal and thus one can get a close-up view of the ships that dock at that terminal. 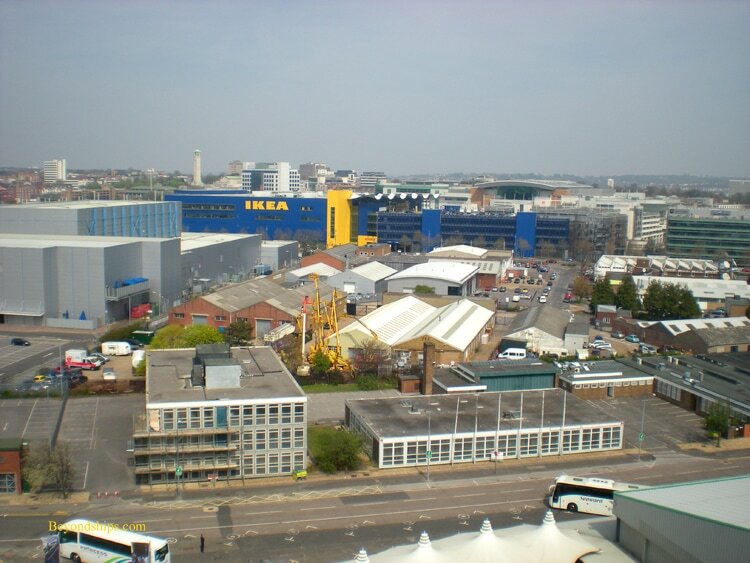 Southampton has the range of dining venues one would expect from a city of this size. 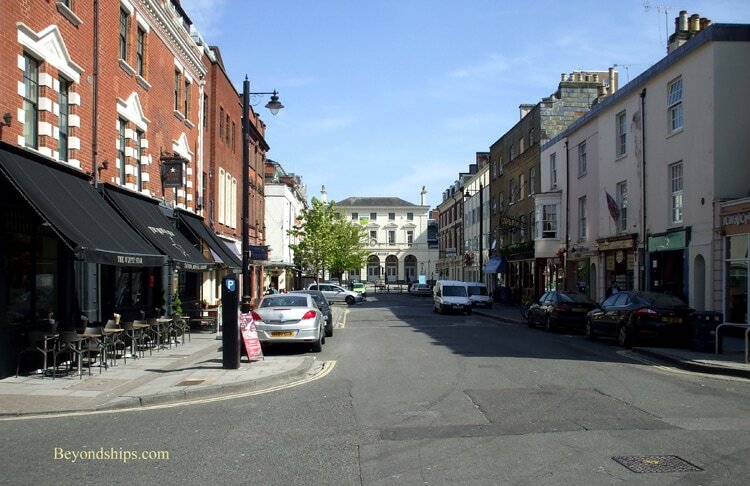 The Oxford Street area (right) has a variety of bars, bistros and restaurants, some of which have outdoor seating in the summer. 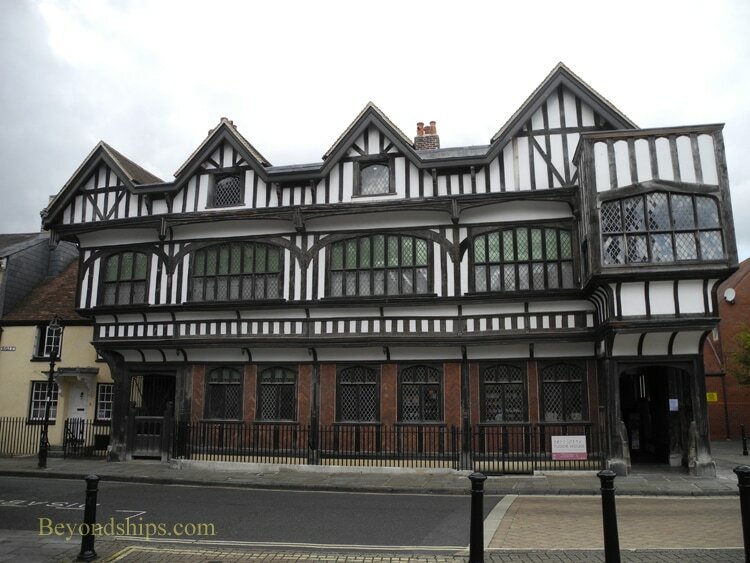 Southampton also has traditional pubs as well as more bars. 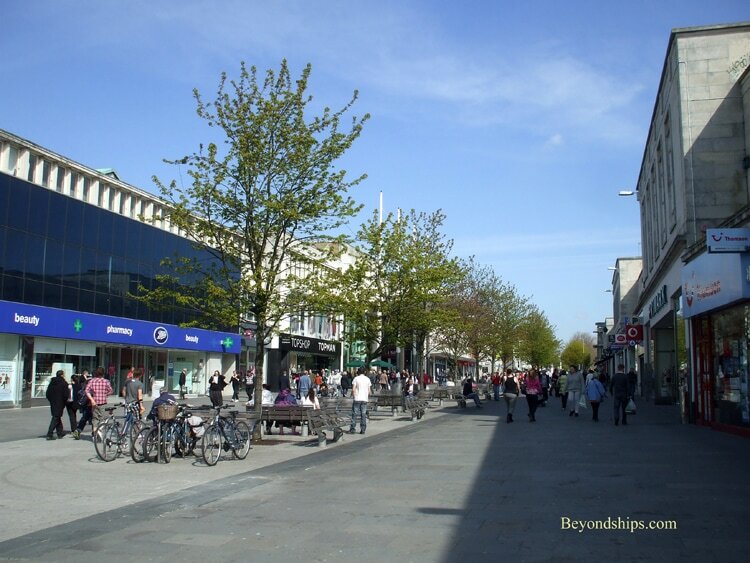 The Bedford Place area attracts students and young people to its bars, take-aways, clubs and restaurants. In addition, most of the major hotels have their own bars and restaurants. 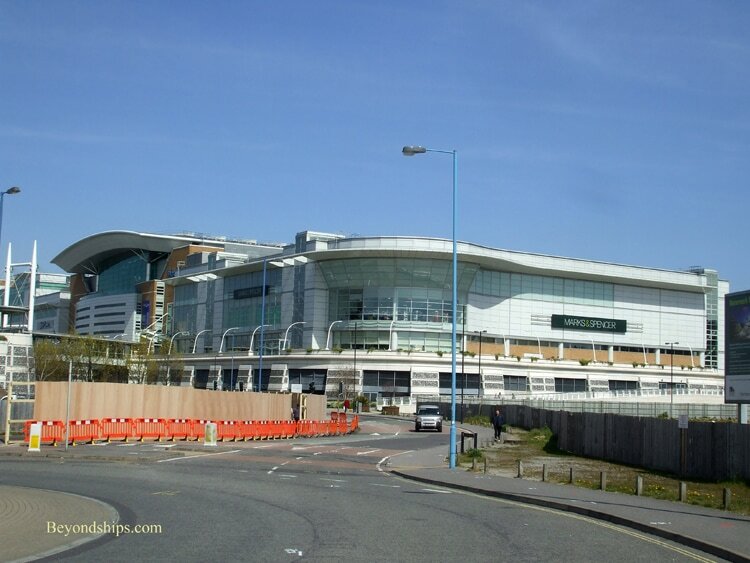 The West Quay mall has a large food court and there are McDonald's and other international eateries in some of the other shopping complexes. 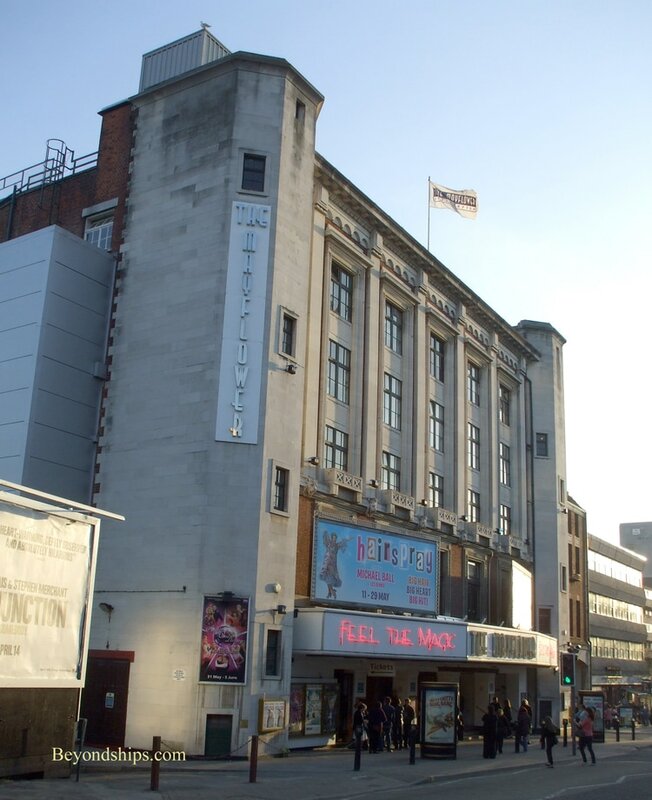 Southampton also has cinemas and venues for live entertainment. The Mayflower Theater. 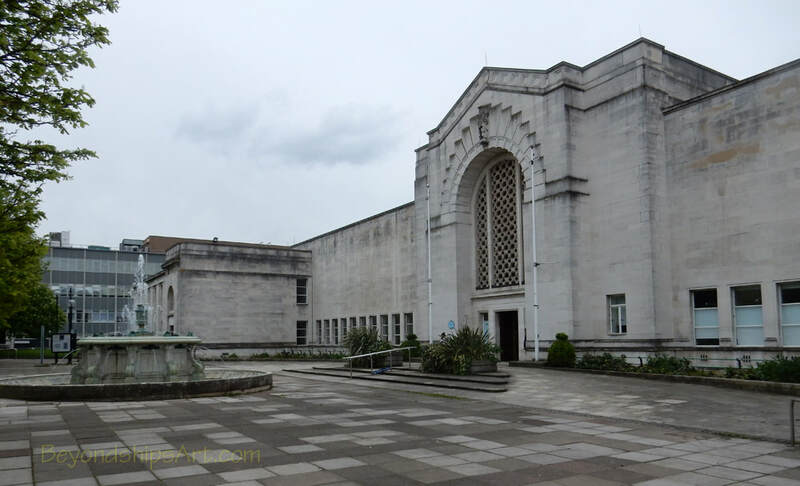 which has a capacity of 2,300 seats, is the largest in Southampton. It features live performances including West End and Broadway musicals.